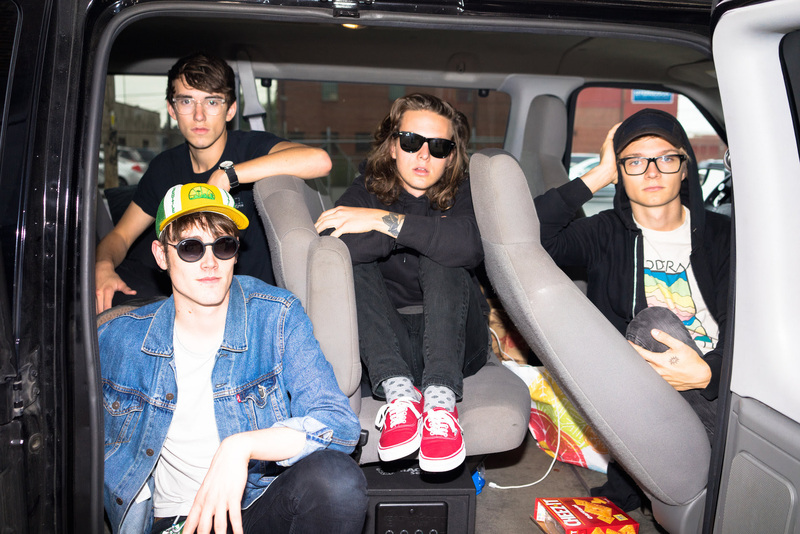 Hippo Campus are barreling full speed ahead into 2017! With critical acclaim from NPR’s Bob Boilen, Noisey, NYLON, Paste, BBC Radio 1’s Annie Mac, Consequence of Sound, AV Club, Alternative Press and many more, the band is in the midst of a massive international tour, which will stop at SXSW for several blowout performances including SPIN, Waterloo & Paradigm/Vans. The band’s live energy transcends club stages as highlighted by their 2015 performances on CONAN, CBS This Morning Saturday and KCRW Morning Becomes Eclectic. Fans unable to make it out to a show can tune in to watch the foursome make a valiant return to CONAN, performing album hit “way it goes“ on March 7th at11pm/10pmC. The fast-rising Minnesotans have shared a brand new live video for album cut, ‘simple season’ which premiered with DIY today. Filmed live by collaborator Dan Huiting (PitchforkTV City of Music) in their hometown, “simple season” offers another look into the world Hippo Campus have created for landmark and follow recent singles “way it goes”, “boyish” and “monsoon” – some of the band’s most celebrated and cerebral efforts to date. A blissed out yet immediate number, the song finds the band coming of age whilst reflecting on the simplicity of youth. It’s a celebration of friendship and a toast to being a kid but also a timely reminder that whilst life changes, that feeling needn’t be lost. On “simple season” Nathan Stocker shared, “Milking our youth for all its worth. It’s the photos on your bedroom wall from that disposable camera you picked up for the summer. That night when the moon was full. Flying kites the day after. Friends we made and the friends that made us. Nothing to do and all day to do it. Nowhere to go and all day to get there. Sittin’ around in the simplicity of it all belonging to us. 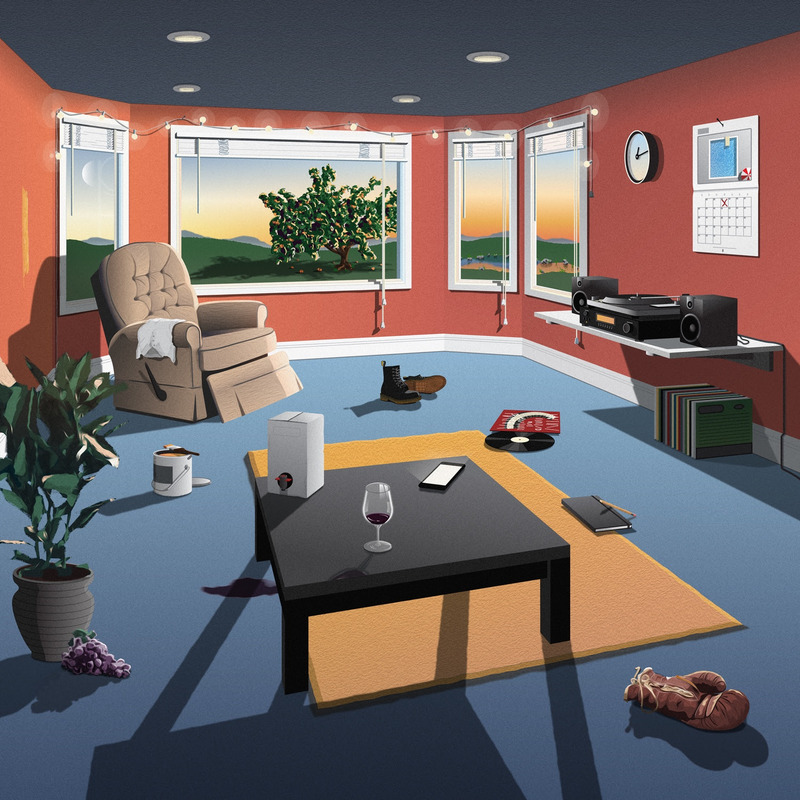 Eschewing any of the band’s critically acclaimed previous works, ‘landmark’ is a collection of thirteen brand new Hippo Campus songs – a debut in the truest sense, and one that musically uncovers a series of fresh sounds from the group. Whilst a strong grasp remains on their classic songwriting capabilities, another is held for experimentation and sonic discovery. Produced by BJ Burton (Bon Iver, Francis & The Lights, Low), landmark marks a true coming of age for the band, exploring an intimate world of universal concepts; love and loss, family and friendship, hope and self-doubt, amongst many others. A milestone at the time in life of which certain questions are answered, but so many more are asked.